Dr. Dereck Silverman graduated from Oneonta State College in 2008 with a Bachelor’s degree in Biology. He next earned a Doctorate in Physical Therapy from Sage Graduate School in 2011. 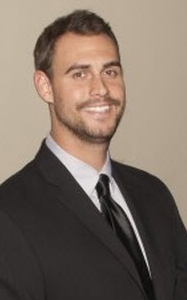 Dereck’s clinical interest include manual therapy, sports rehabilitation, and injury prevention. He is experienced in skilled myofascial release techniques, proprioceptive neuromuscular facilitation, and provides individualized care with specifically designed treatment plans. Dereck has completed the Great Lakes Seminars for Common Extremity Dysfunction through Mobilization and Functional Strength most recently. When not in the clinic treating, Dereck enjoys spending time with his family, participating in Triathlons, making surfboards, and traveling.